I must confess I'm not a big fan of British films, as I've seen quite a handful which are horribly disappointing. 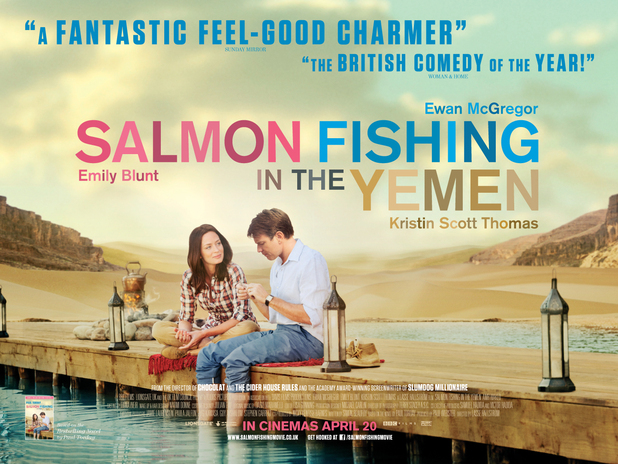 But Salmon Fishing in the Yemen is not one of them - and I knew it before seeing it. It's adapted from a book that I wanted to read but never had the time to, but I just know it's not gonna be too bad (and I was right.). Of course, it could be attributed to the fact that the cast is brilliant - I'm not saying big stars guarantee good films, coz a lot of times they don't, but everyone in this one's pretty good. Recommended.